In this Photoshop photo editing tutorial, we're going to look at how to quickly neutralize a color cast in a photo using Photoshop's Photo Filter adjustment. Select "Photo Filter" from the list of Adjustment Layers. The "Photo Filter" dialog box. 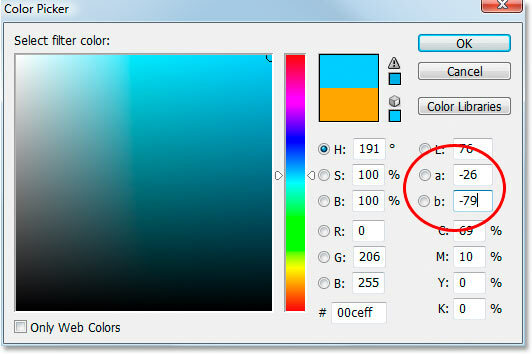 Clicking the color swatch brings up the Color Picker. Click on the image to sample the problem color. Don't exit out of the Color Picker yet. We're going to use it to invert the sampled color next. 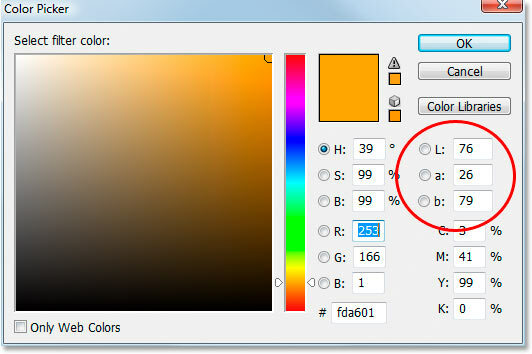 The "Lab" options along the far right of the Color Picker. Add a negative ("-") sign in front of the "a" and "b" values to invert the color. If you already had a negative sign in your "a" or "b" values, simply remove it. So add a negative sign if there isn't one, and remove it if there is one to invert the color. We can see in the Color Picker above that my color has now changed to more of a blue color, and that is the opposite of the orange color I sampled. 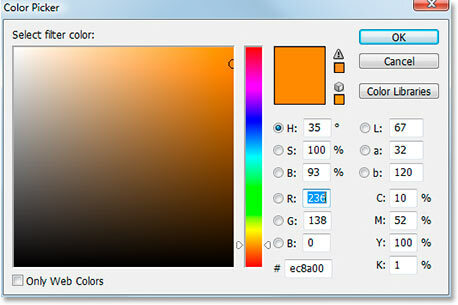 I can now use this color to neutralize my color cast. Click OK when you're done to exit out of the Color Picker. Drag the Density slider to the right until the color cast is removed. The image after removing the orange cast with the density slider. Drag the "Saturation" slider towards the right to boost the colors in the image. And there we have it! 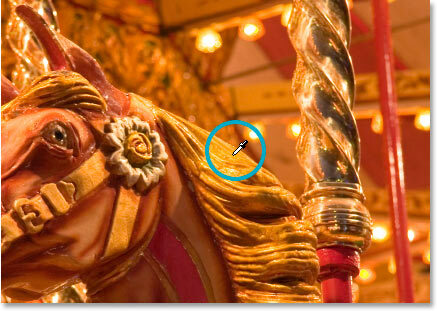 That's how easy it is to correct a color cast problem using Photoshop's Photo Filter adjustment. 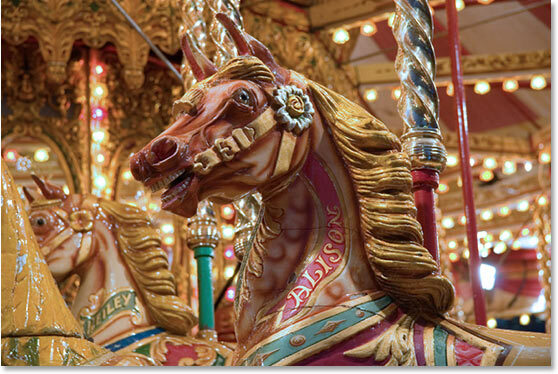 Check out our Photo Retouching section for more Photoshop image editing tutorials!